Duke, whose sound infused acoustic jazz, electronic jazz, funk, R&B and soul, died on Monday night in Los Angeles. He was being treated for chronic lymphocytic leukaemia. 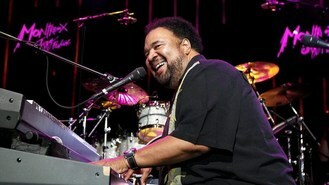 During his 40-year-plus career, Duke appeared on a number of Frank Zappa's albums and played in the Don Ellis Orchestra and Cannonball Adderley's band. He played keyboard on Michael Jackson's multi-platinum 1979 album Off the Wall, and was a producer for Miles Davis, Smokey Robinson, Gladys Knight, Dionne Warwick and Natalie Cole. He also released more than 30 solo albums. Duke's wife Corine died from cancer last year.